Here we go again children, another tournament season draws nigh. Oh the pageantry, history, traditions, outright audacity and gall of this event. It defies the English language’s halting attempts at describing it and must truly be Experienced. And with that, it is with great humility and auspicious hope that I extend any reading this the opportunity to participate in the world’s greatest trivia tournament, March Trivia Madness XIV. March Trivia Madness will culminate in Super Saturday, April 25th – location to be determined. 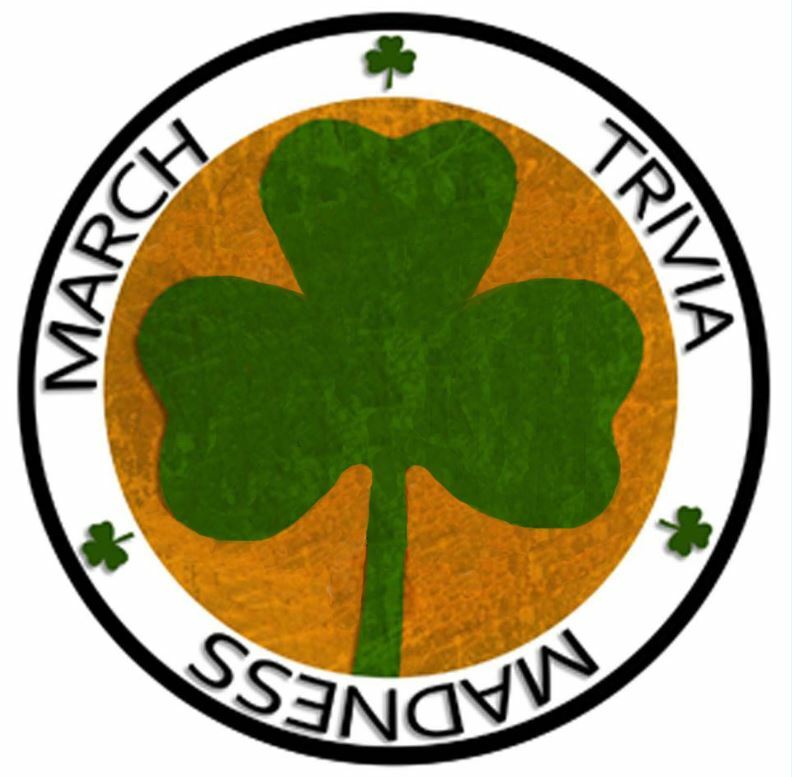 March Trivia Madness is broken down into two parts, The Cumulative and Super Saturday. First you must earn your invitation. To earn an invitation to play, you must finish in the top 3 of a FCT nightly show & be the highest non-qualified team that night. You will then have 1 week to pay the $100 entry fee. If you do not pay your fee by the time Question #1 flies the following week, your qualification bubble period will have busted and you will have to re-qualify. Please note, each year there are a couple of “auto-qualify” shows that take place. Show up, play the game, pay the fee, and you are in. Follow us at facebook.com/fullcontacttrivia to look for the dates of those shows. Beware: Time and time again we see teams not take advantage of an early qualification thinking they will be able to re-qualify again before time runs out only to not be able to. If you have the advantage of entering early DO IT! Prizes will be given to the TOP 10 Teams of the Cumulative, the Best Schwag at the Finals, More Convenient Arrivals Times for the Finals, and more! The Cumulative Championship is recognized as the 2nd most prestigious title in Full Contact Trivia, only bested by winning Super Saturday and becoming World Champion. In years past these have accrued separately from your weekly total, but that rule has changed. You may now select just one evening to post, meaning a 4th place 95 on Tuesday followed by a 1st place 85 (+6=91) on Wednesday would post as a 95 assuming no further games were played. Your scores will accumulate even if you haven’t yet earned your invitation. (ie. If you play weeks 1-3 and don’t qualify until week 4, your scores from weeks 1-3 will carry over). So don’t panic if you don’t qualify in week 1. And if your score isn’t where you want it to be, play another show that week. A tournament week this year begins on Sunday and Ends on Thursday. Your highest score is the one that counts. So if you do badly on a Sunday, take advantage of a show later in the week. Want to ensure a good score? Play early and often. On Saturday, April 25th at 2:00pm at a venue to be determined, the holiest of all Full Contact Trivia Events will begin, the Finals of the 14th Annual March Trivia Madness. The number of people allowed on your team is determined by the number of chairs you earned during the Cumulative. One team will be crowned the Full Contact Trivia World Champions. Kickoff begins with the Trivia Bowl on Friday February 13th. This entry was posted in MTM 14 (2015) and tagged March Trivia Madness. Bookmark the permalink.